Topics: Network, Data Services, Internet Services, Voice Solutions, Netpilot Servers, and Software. agstechnology.co.uk Millennium Blinds Wales | Caerphilly | Cardiff | Newport | Window ..
Uk2 Infrastructure (England, London) is the location of the Apache/1 server. 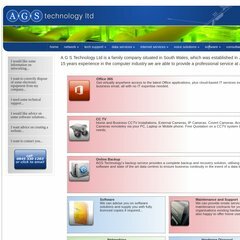 Agstechnology.co.uk's IP address is 83.170.64.92. It has 2 DNS records, ultra103.uk2.net, and ultra104.uk2.net. PING www. (83.170.64.92) 56(84) bytes of data.